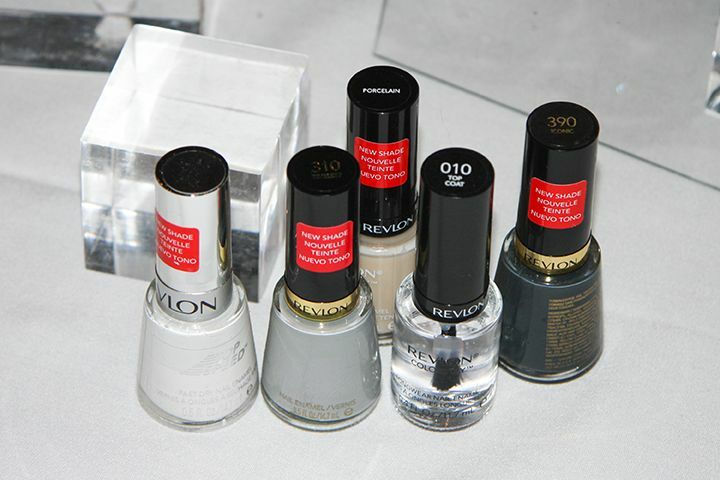 To compliment the boxiness in the clothing of the Monochromatic Collection, Leeanne also created some outlined mani. 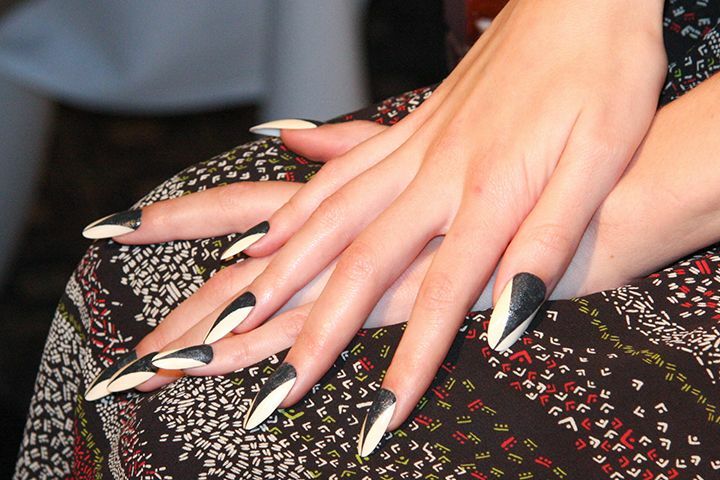 She used the fine tip of Revlon Nail Art Expressionist in Night & Degas (the black one) to outline the nails. She said everything is hand-drawn, talk about skills. Leeanne was so down to earth and enthusiastic, I got to chat with her more about nails. I asked her to give us some tips on at home manicure. She said the key is how you hold the brush. When you take the brush out from the bottle, you could brush one side of the brush along the side of the bottle, so that only one side has nail polish on it. Then you would place your brush on the center of your nail and push it towards the cuticle, then brush it back to the tip of the nails. 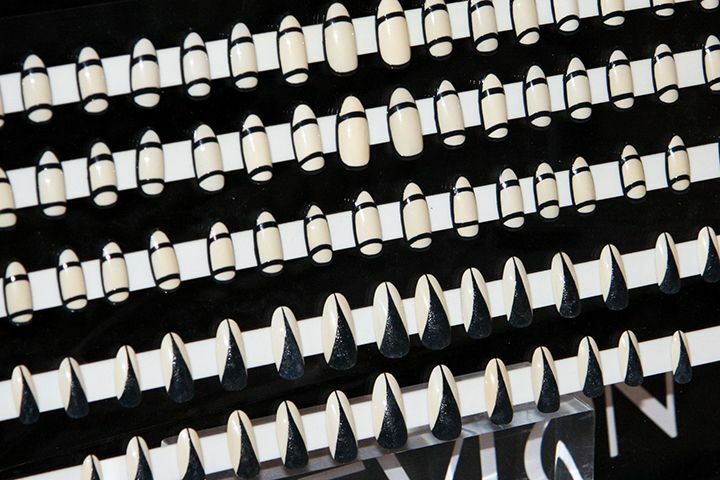 This way, you can avoid having too much nail polishes on the cuticles and avoid smudges. I also asked if she has some tip for nail art because I struggle with my right hand all the time. She said start with the hand that you have the most trouble with. It made so much sense, because if you were to start on your easy hand, by the time you're done, you will be tired and frustrated, and don't want to do the second hand. But if you start with the trouble hand, then when you're done, you know your easy hand is gonna be easy, and you will be able to go through with it :D.
Last week was the time of the year again when every fashionista in Toronto (and nearby cities) gets excited - it's Toronto Fashion Week again, or, better known as now, World Mastercard Fashion Week! 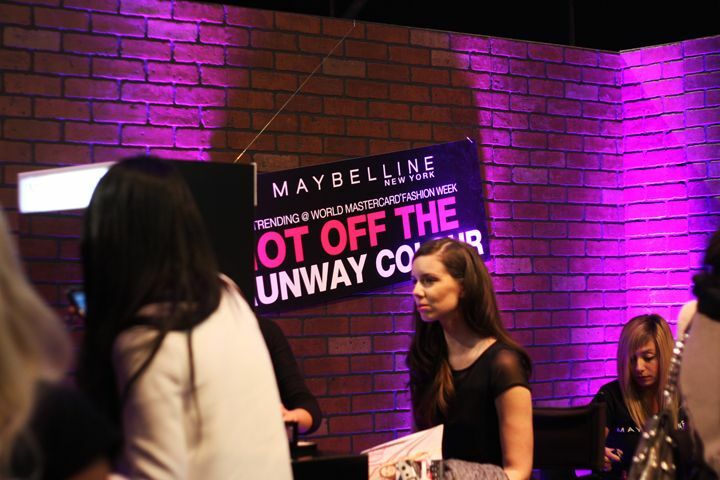 I had the opportunities to attend a few shows on Day 2, as well as going backstage for a bit between shows all thanks to Maybelline's #tweet4aseat Twitter contest! And I am very excited to share with you my experience! 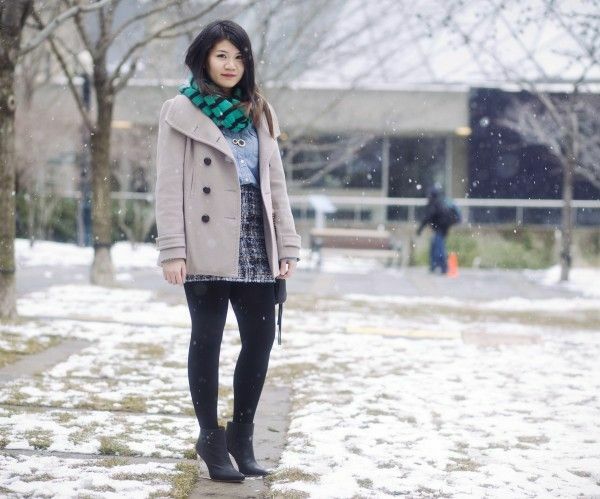 Top: J.Crew denim shirt | Skirt: J.Crew tweed skirt | Bag: Rebecca Minkoff M.A.C. Coat and scarf were not shown in the pictures about, but you can check out my entire outfit over at FLARE Fashion Street Style (or read about my post on it - still doing happy dances). 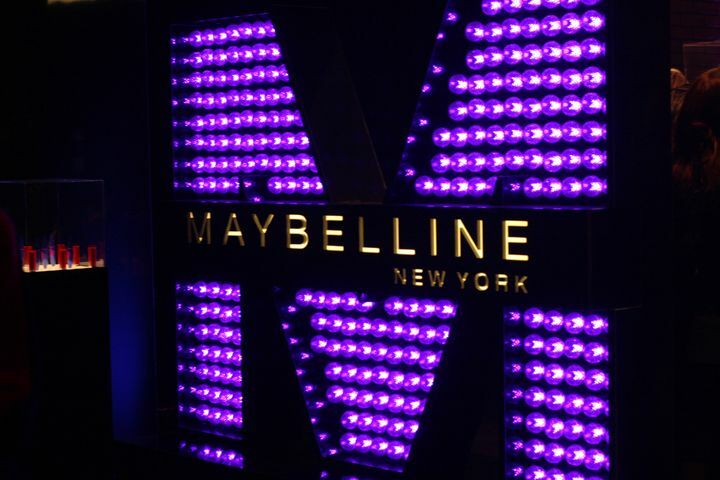 I met up with Joyce from SparklyPlayground before the shows start, since there were some time to kill, we walked around and of course, I spotted the Maybelline booth where they offer makeup touchups, manicures, and lipstick samples! 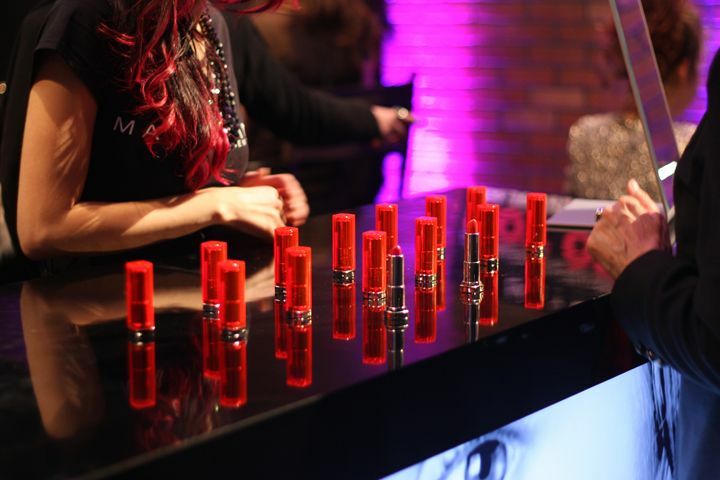 Maybelline ColorSensational Vivid lipsticks sample! Ever since the Ombré trend has started, I have been going oooh and ahhh when I see a bang on ombré'd hair (e.g. Rumi Neely @ Fashion Toast, Zoe @ Zoella). It's very low maintenance because you don't have to worry about your roots growing out, you only need to touch up on it once the colour has faded too much or your hair has grown too long that the Ombré no longer seem natural. But I just love the casual, effortless look of Ombré hair. However, it took me nearly two years to finally jump the gun and go Ombré. 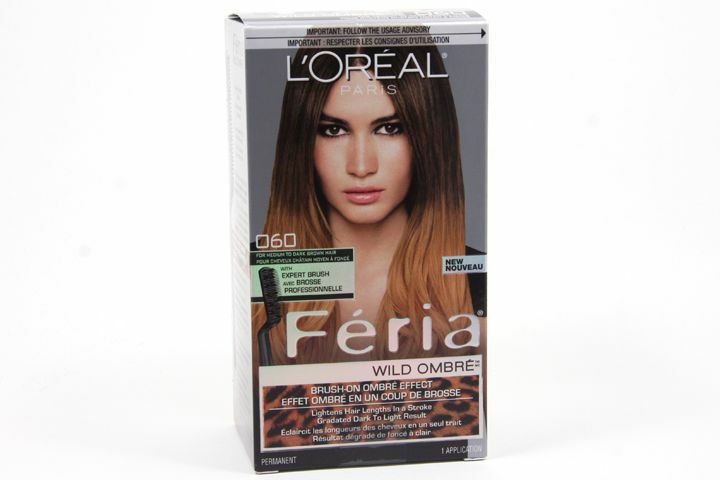 The product that made me do it is the newly on the market L'Oréal Paris Féria Wild Ombré* dip dye hair kit. 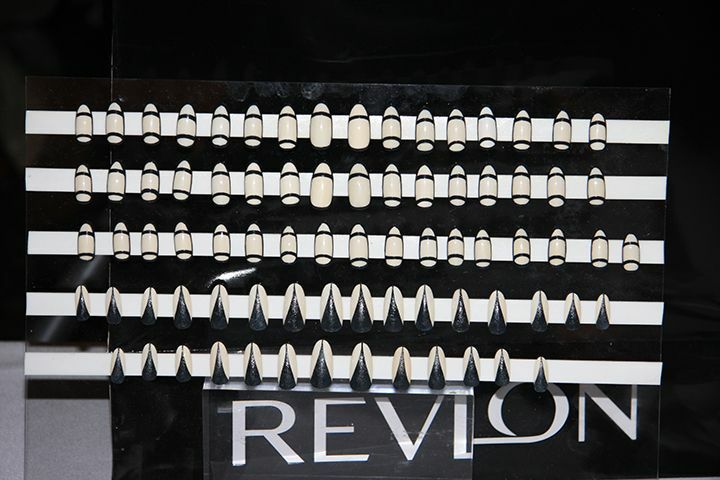 Expert Brush: Apply formula flawlessly with Feria’s easy-to-use Expert Brush. In one stroke, it’s easy to create individual Ombre looks – ranging from subtle to bold. Lightening Technology: Feria’s lightening formula blends naturally with each unique haircolour – No lines! Just a perfectly graduated colour. Five Expert Shades: Achieve colour perfection with one of Ombre’s five unique shades that blend naturally each woman’s own unique haircolour. Conditioned Hair: Conditioning shampoo deeply hydrates hair, leaving it soft and easily tamed. The Office Chic Goes Ombré'd... and She Is Ready to Do It Again! 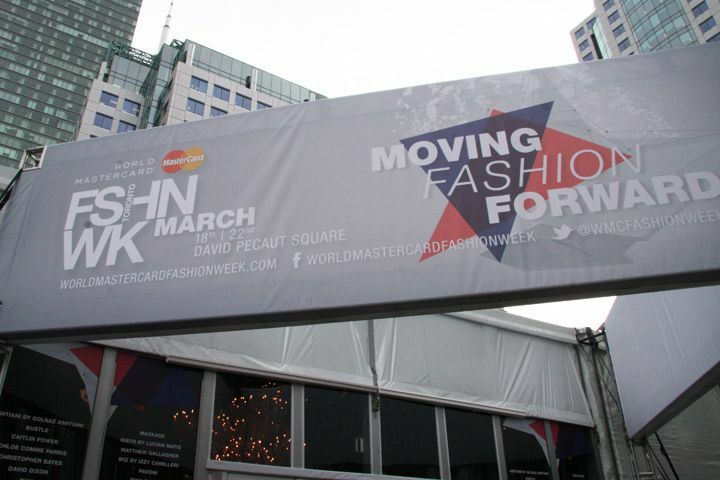 It is the time again for Toronto Fashion Week, or now known as the World Mastercard Fashion Week! I had the opportunities to attend a few shows on Day 2. 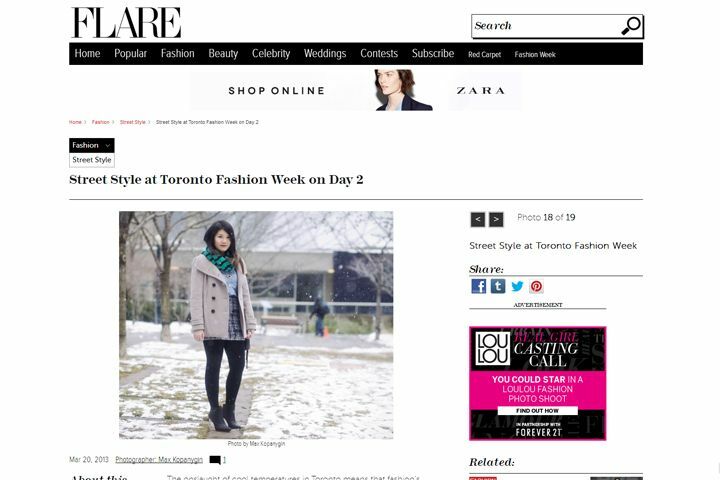 On my way in, Mr. Max Kopanygin snapped a few photos of me outside the tents, and it made it on FLARE Street Style! 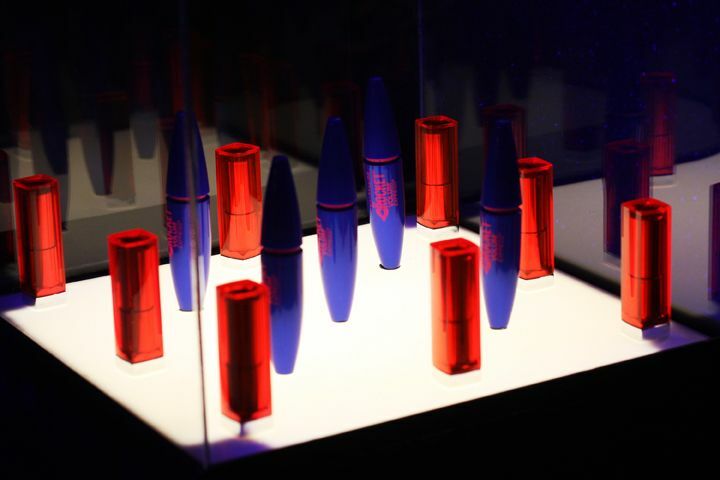 This past Sunday, a few Toronto beauty bloggers and I met up at Milestones for our regular(ish) TOBB brunch! 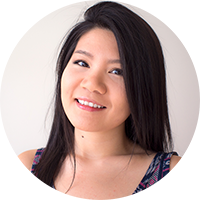 Normally, we would chat about beauty, catch up with our fellow beauty bloggers and maybe meet a few new faces. This time, on top of the aforementioned activities, we have a special guest who flew all the way from the United Kingdom — Amanda Bell, the makeup artist of PIXI Beauty. 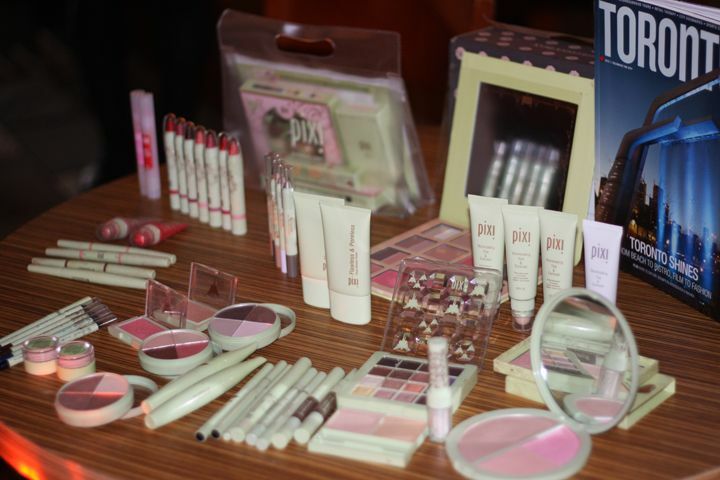 If you are an avid viewer of some British beauty vloggers on YouTube, you probably would have heard of PIXI Beauty before. They are a UK based makeup brand developed by its founder & creator, Petra, with a mission of "simply to bring out the natural beauty in all women – to make women look like themselves, only better.gredients so that skin is treated whilst you wear it". They have been made available in the U.S. at Target for a few years now. As you all probably know already, Target has arrived in Canada, and PIXI Beauty is also available now in the Canadian location. Hurray!